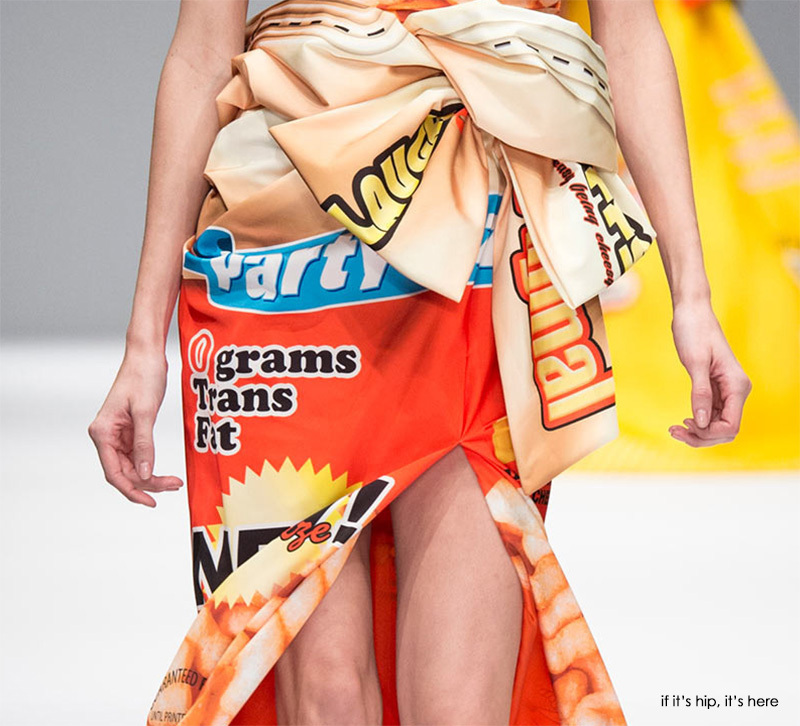 If It's Hip, It's Here (Archives): Fashion You Can Sink Your Teeth Into. 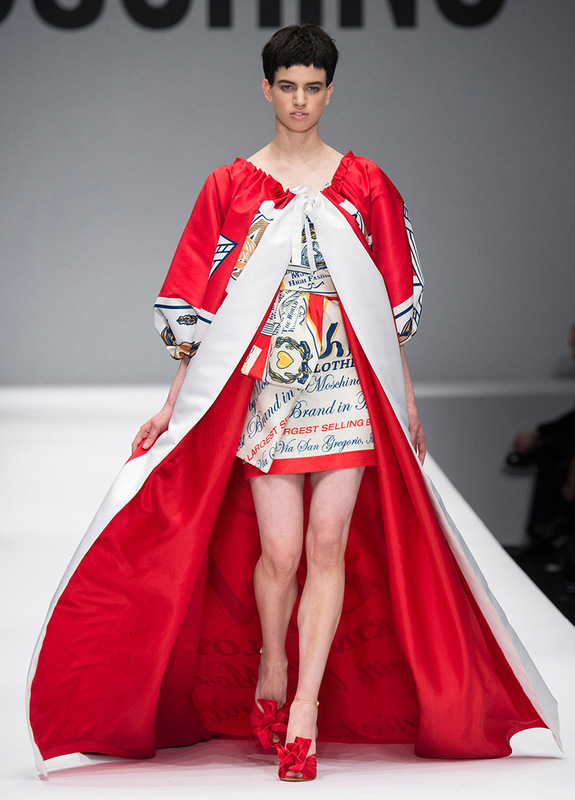 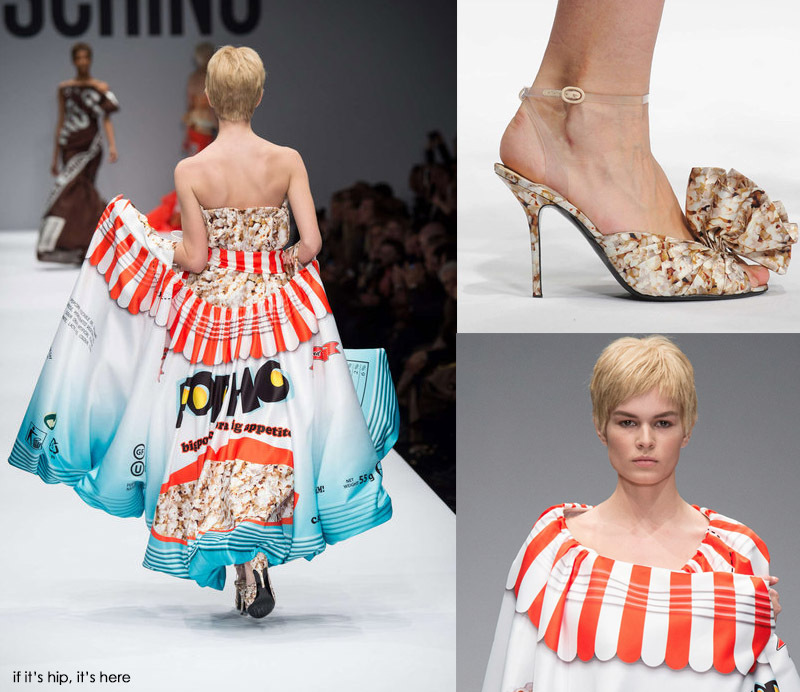 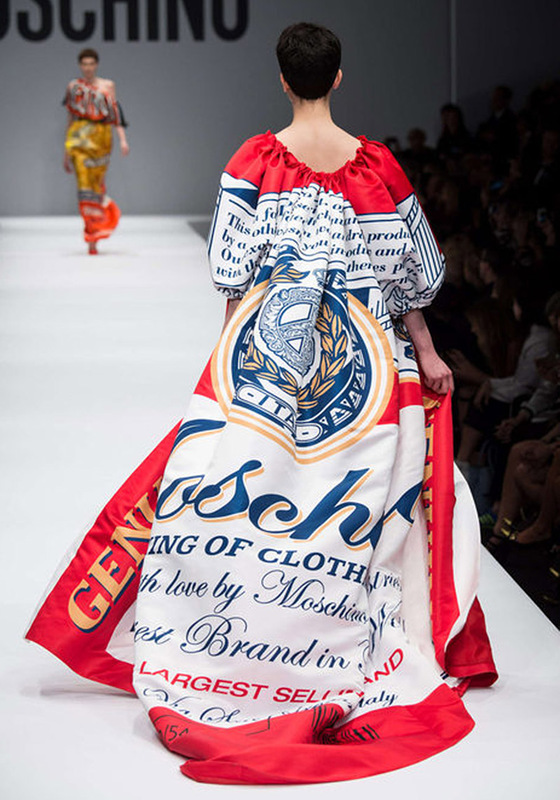 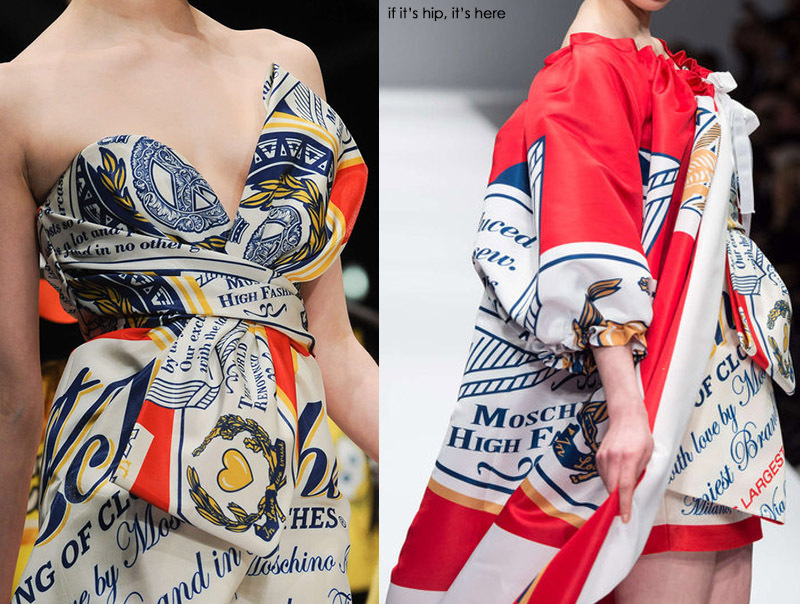 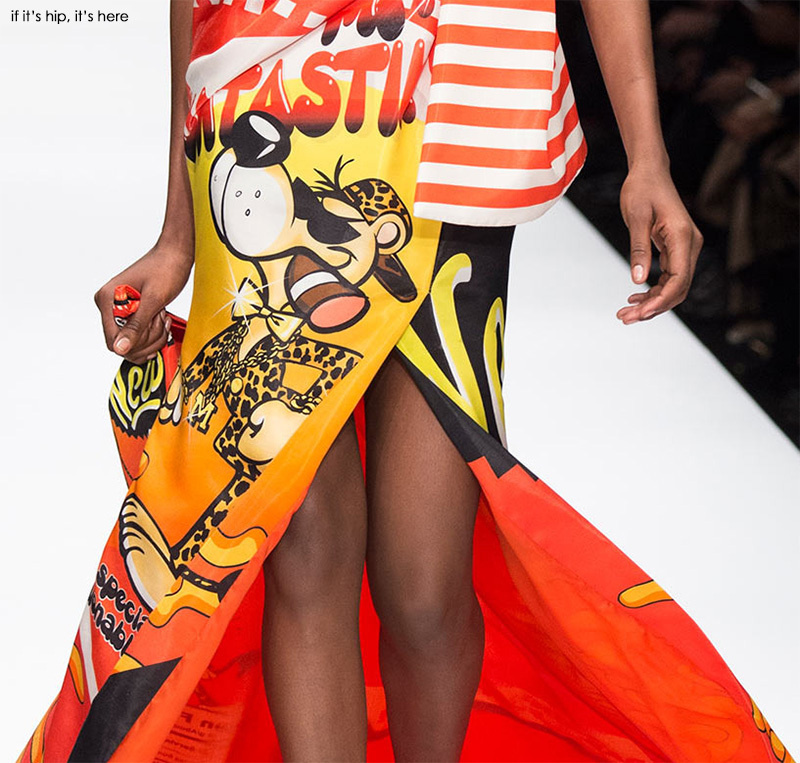 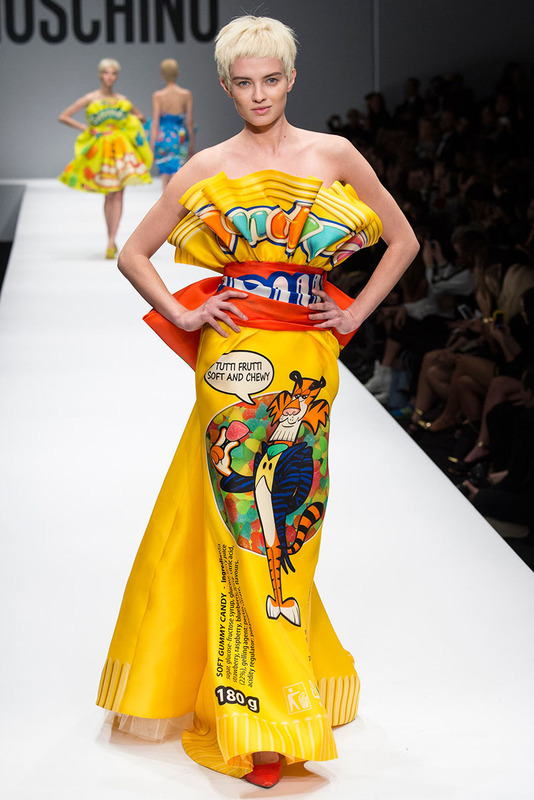 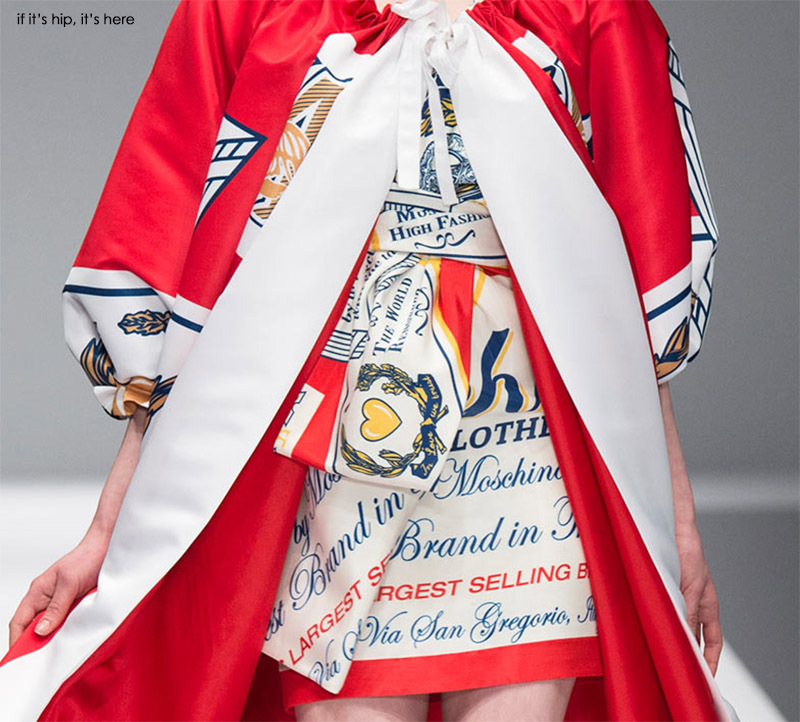 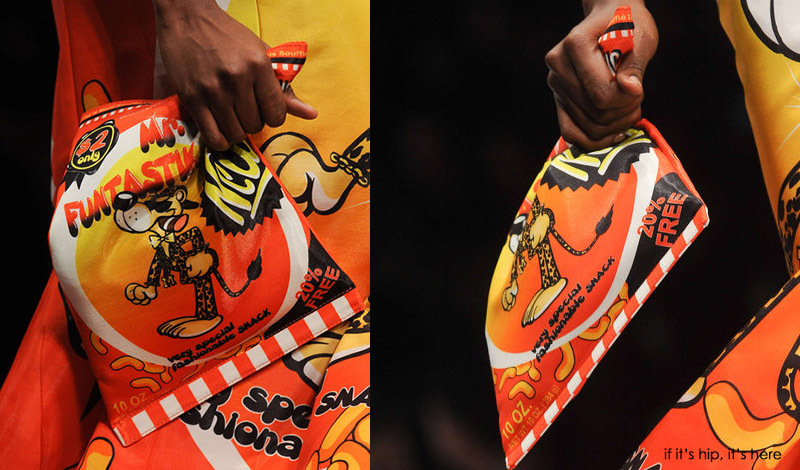 Moschino's 2014 Flavorful Fall Winter Collection by Jeremy Scott. 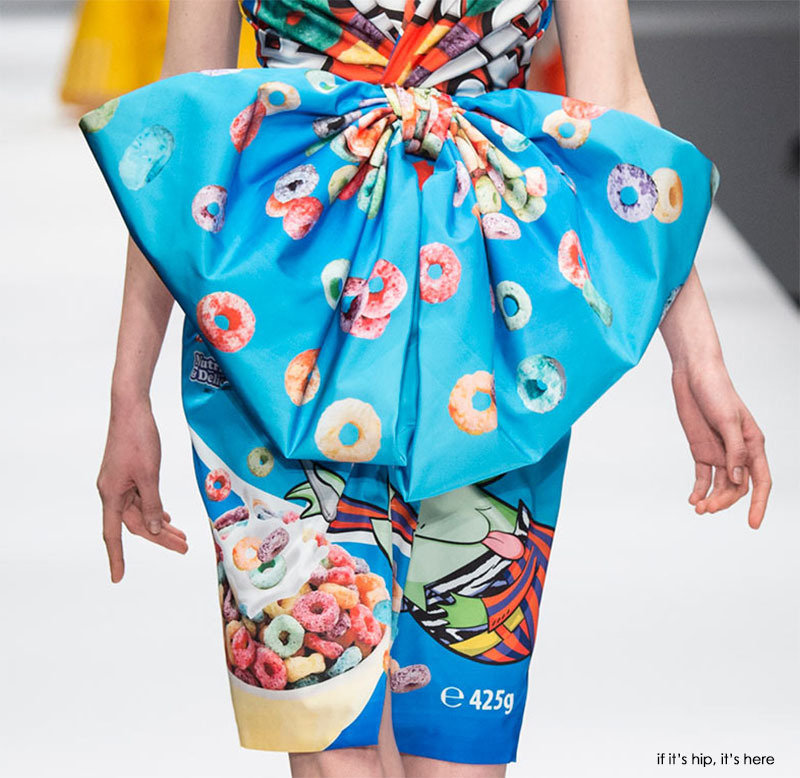 Fashion You Can Sink Your Teeth Into. 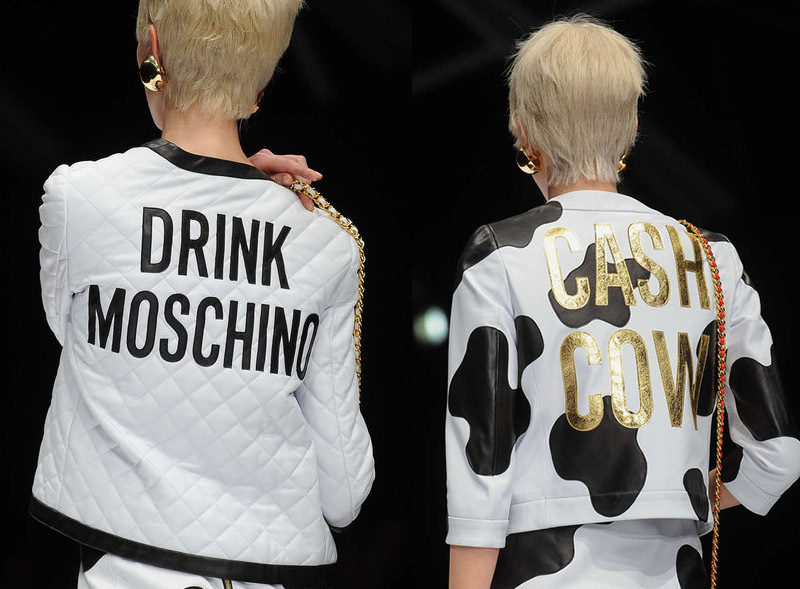 Moschino's 2014 Flavorful Fall Winter Collection by Jeremy Scott. 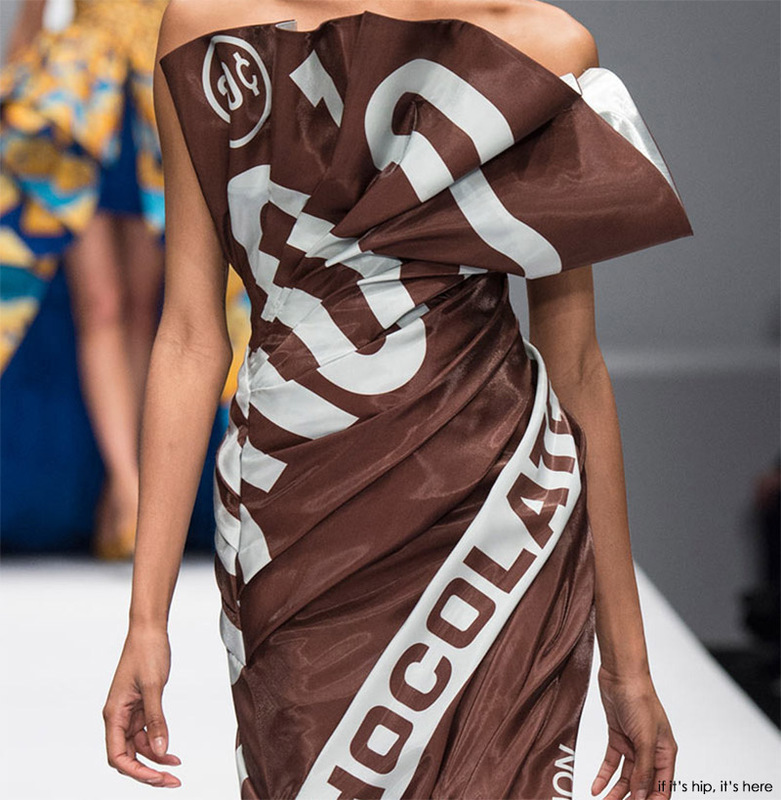 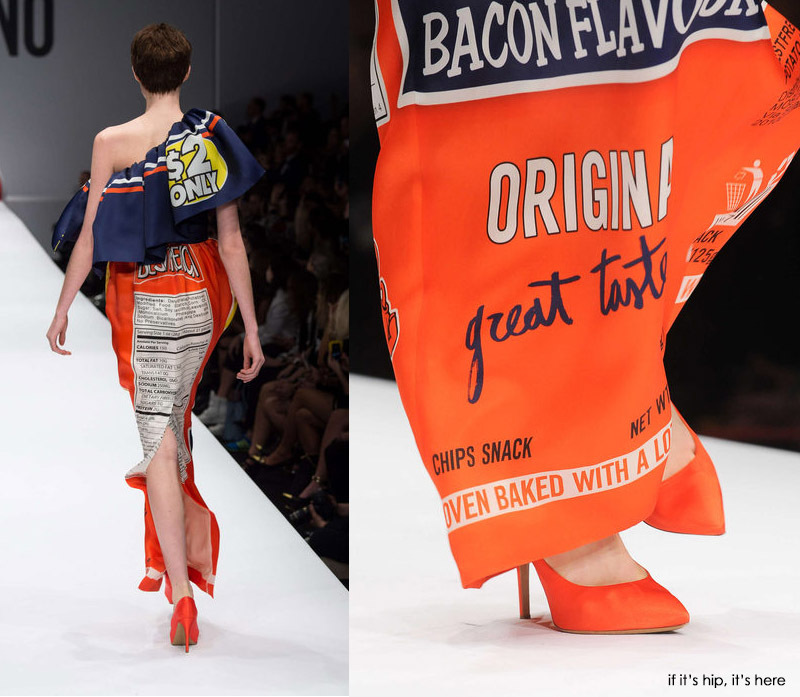 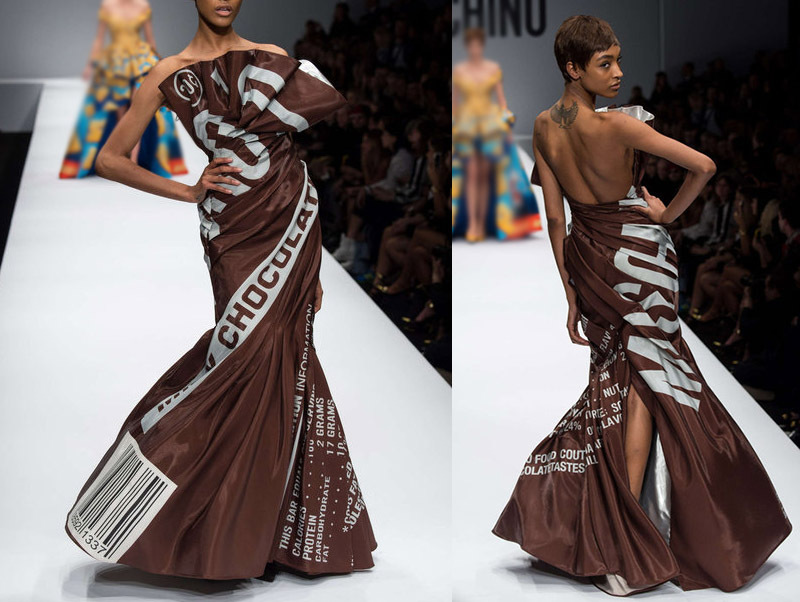 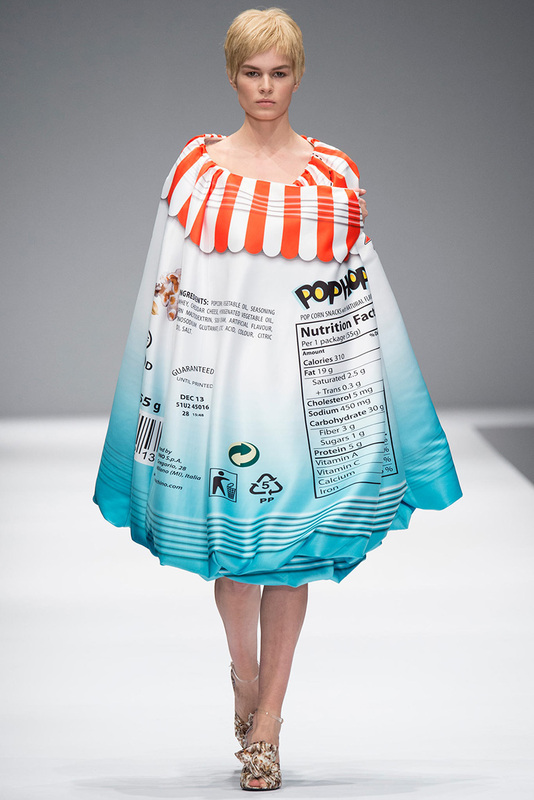 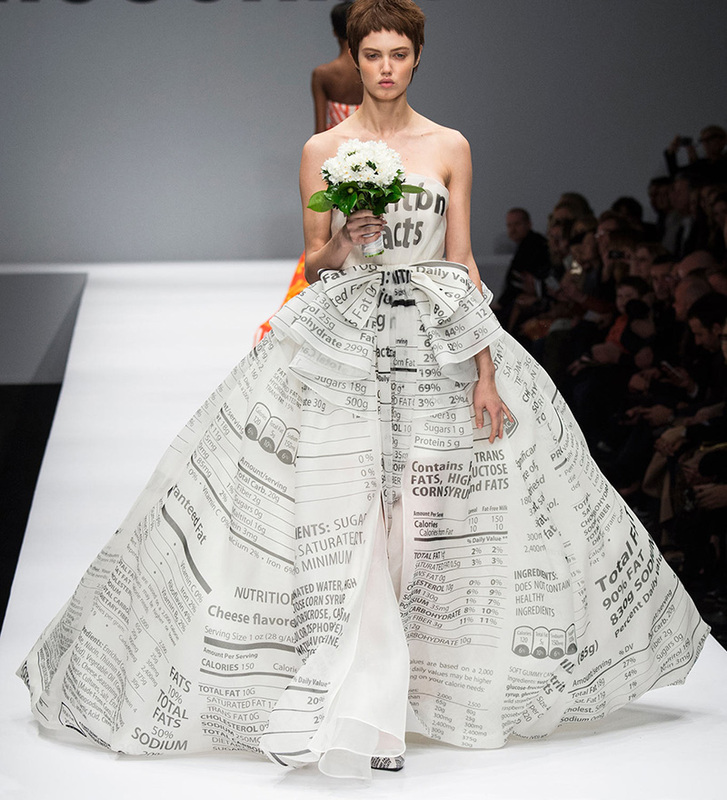 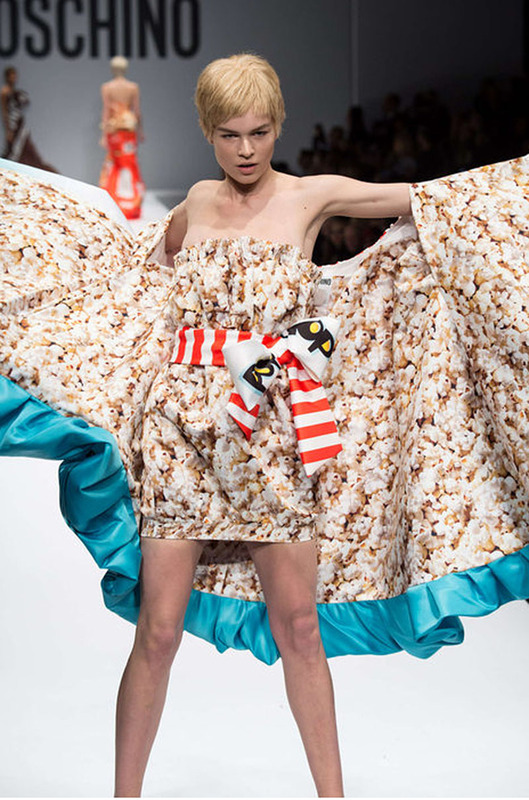 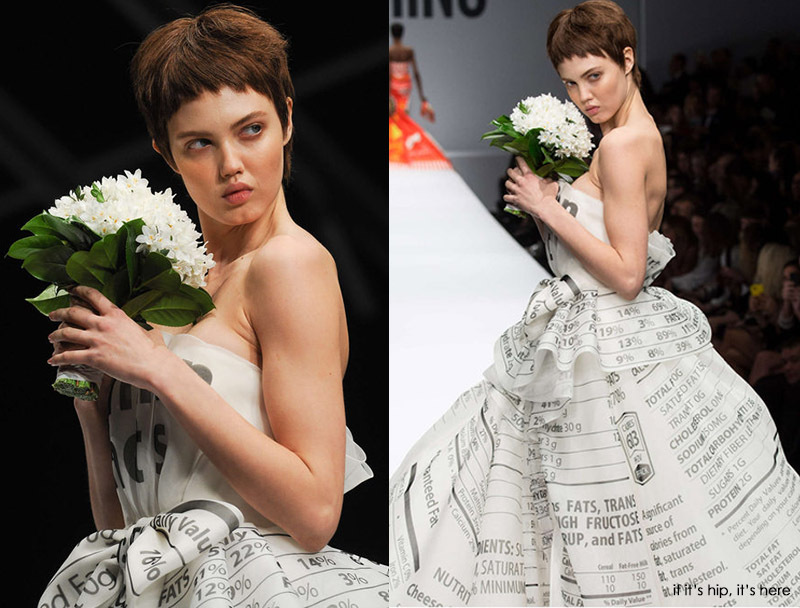 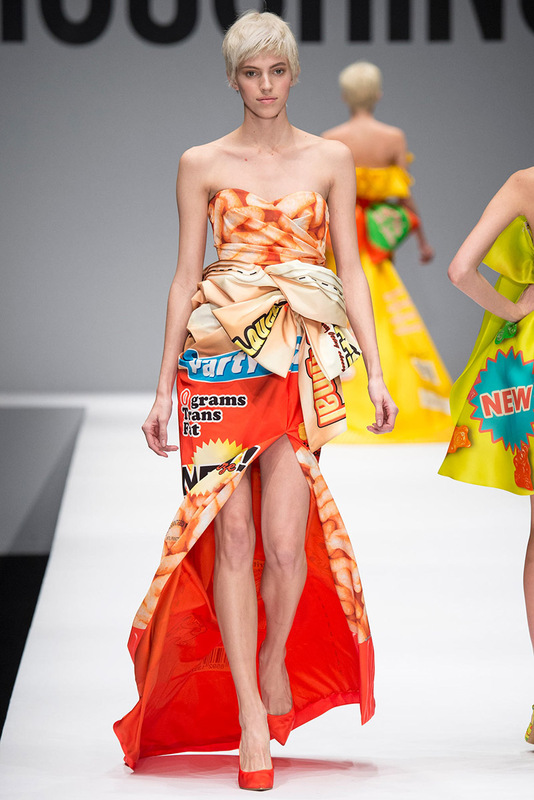 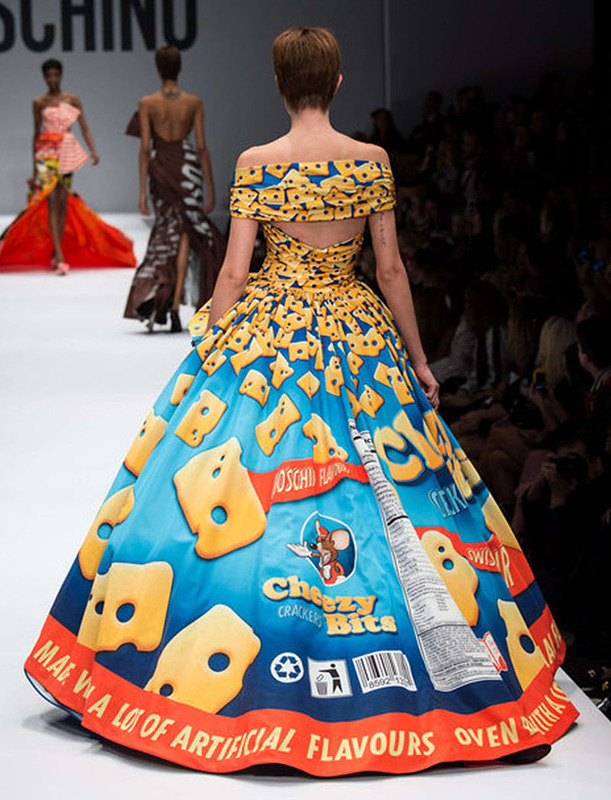 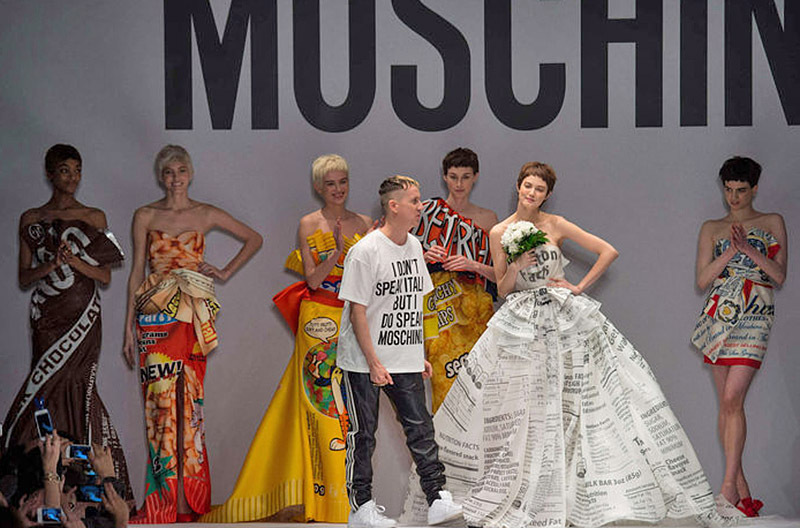 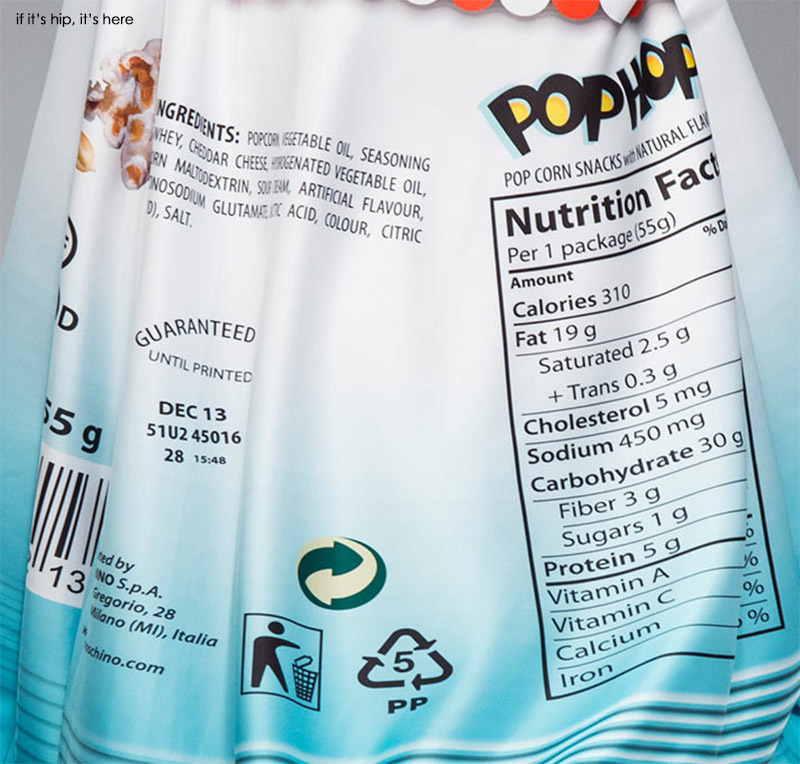 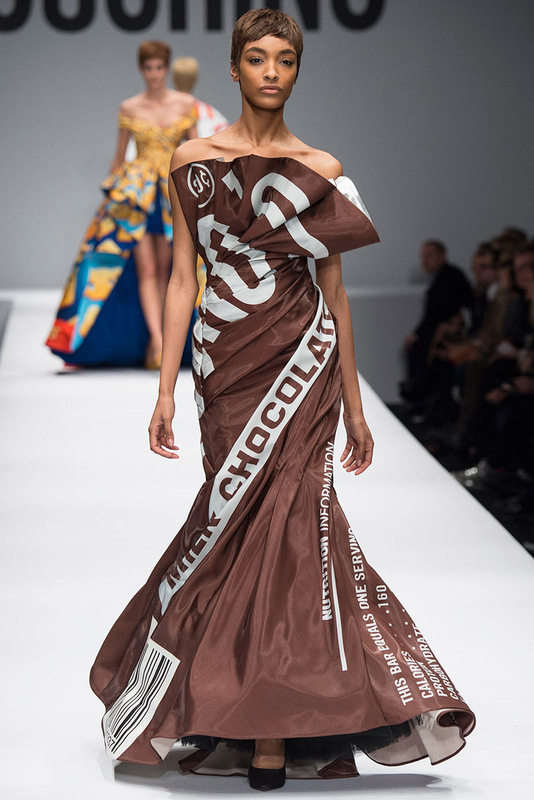 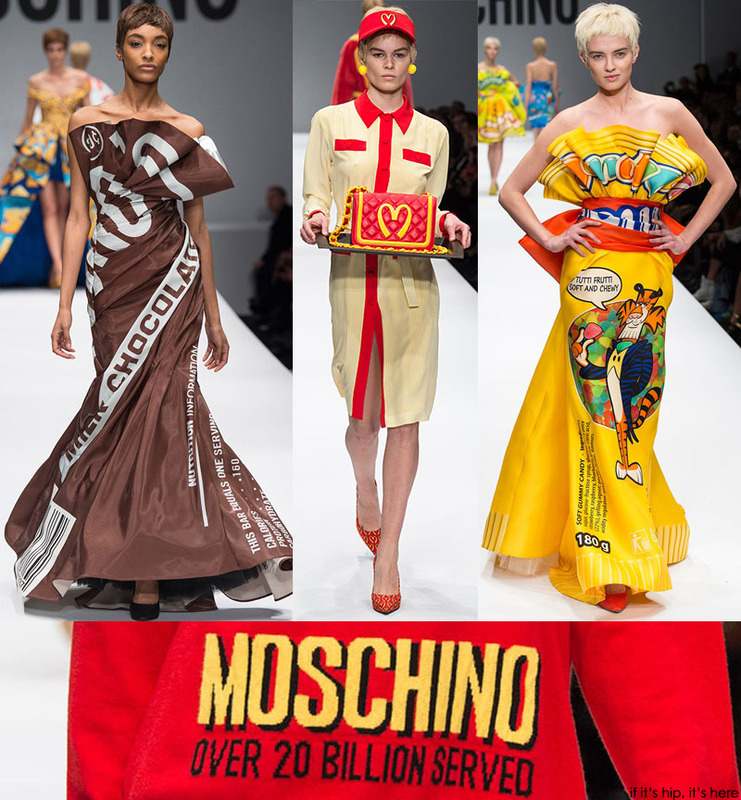 Whether you call it Fashion with Flavor or Culinary Couture, the 2014 Fall Winter RTW collection from Italian brand Moschino has zero trans fats and lots of humor. 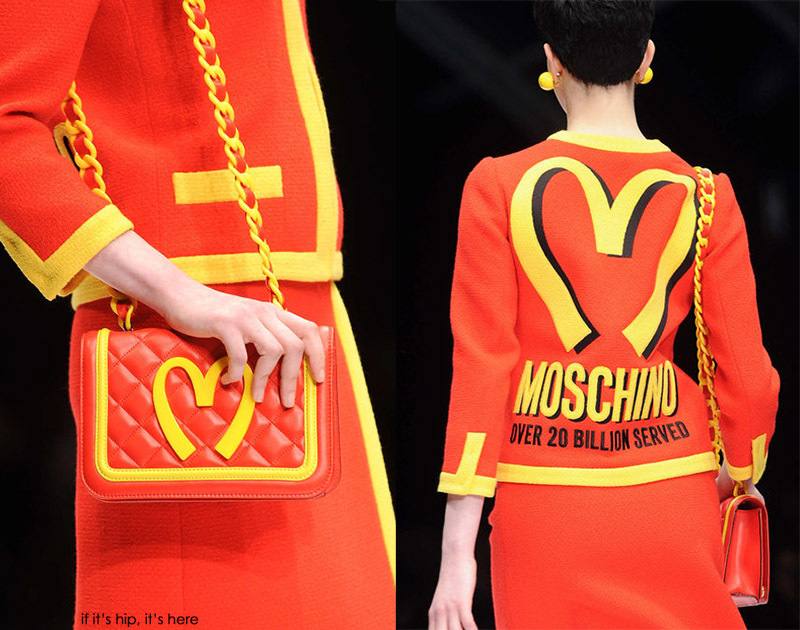 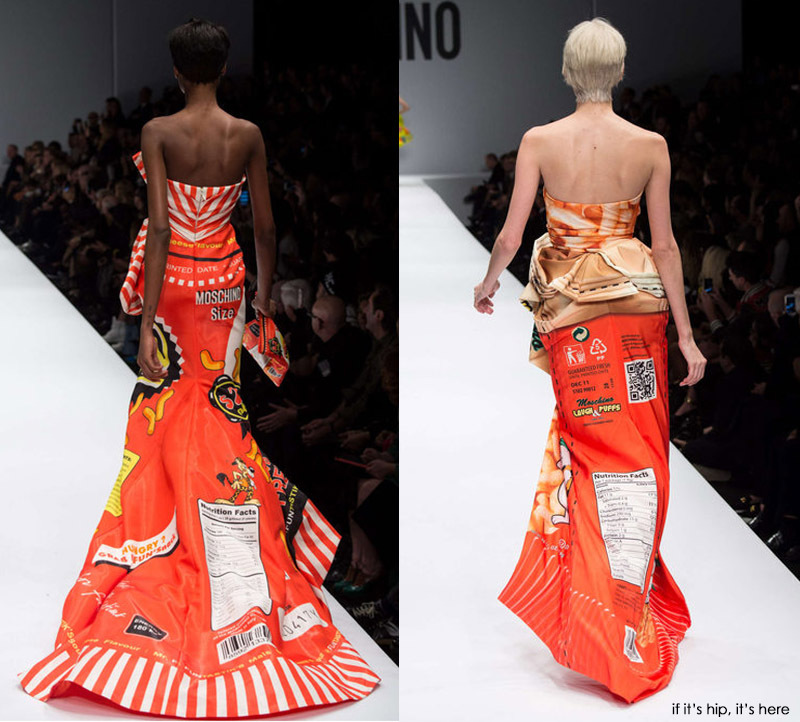 Processed and packaged goods are turned into couture gowns and dresses, McDonald's and Milk are the inspiration for suits, handbags and shoes. 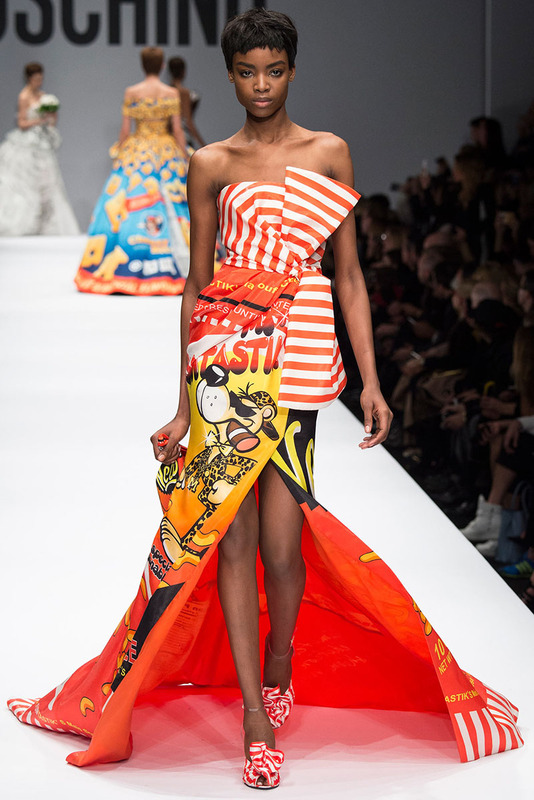 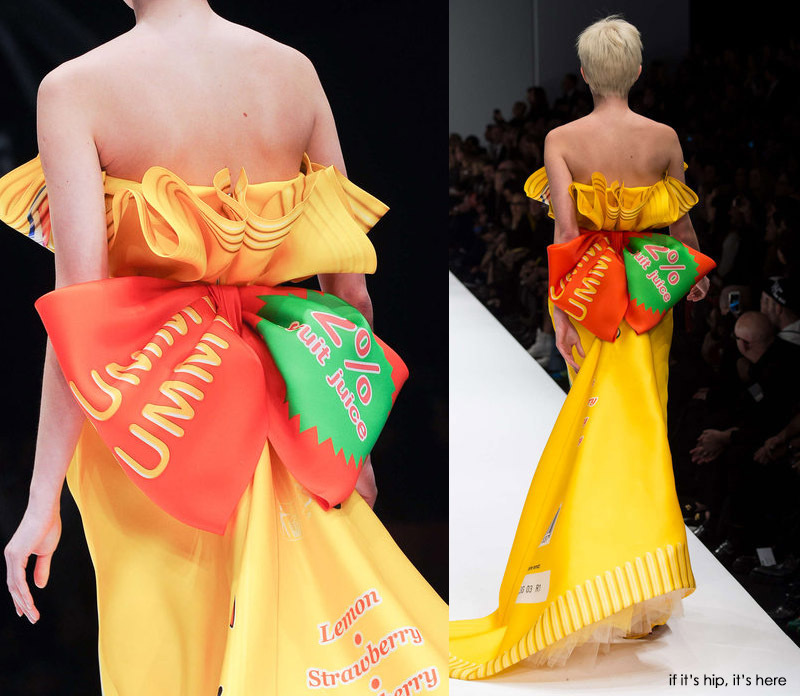 In his typically irreverent style Jeremy Scott's designs mock the fast food industry while still maintaining stunning silhouettes. 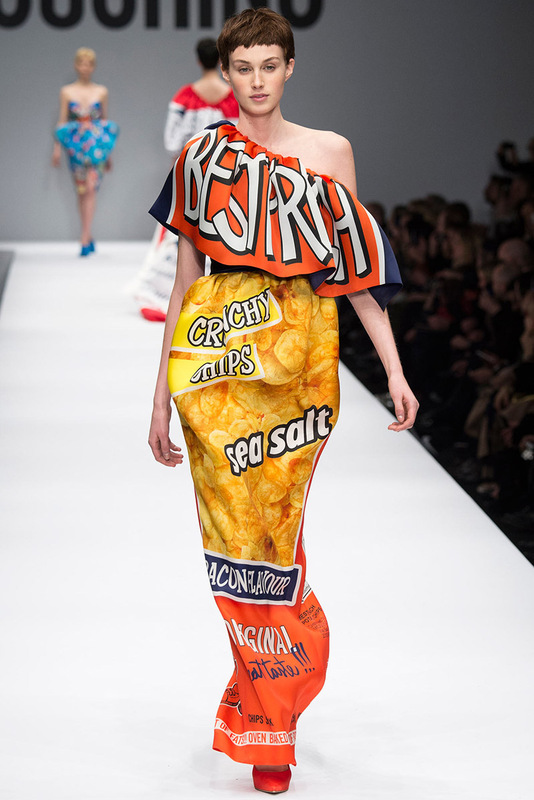 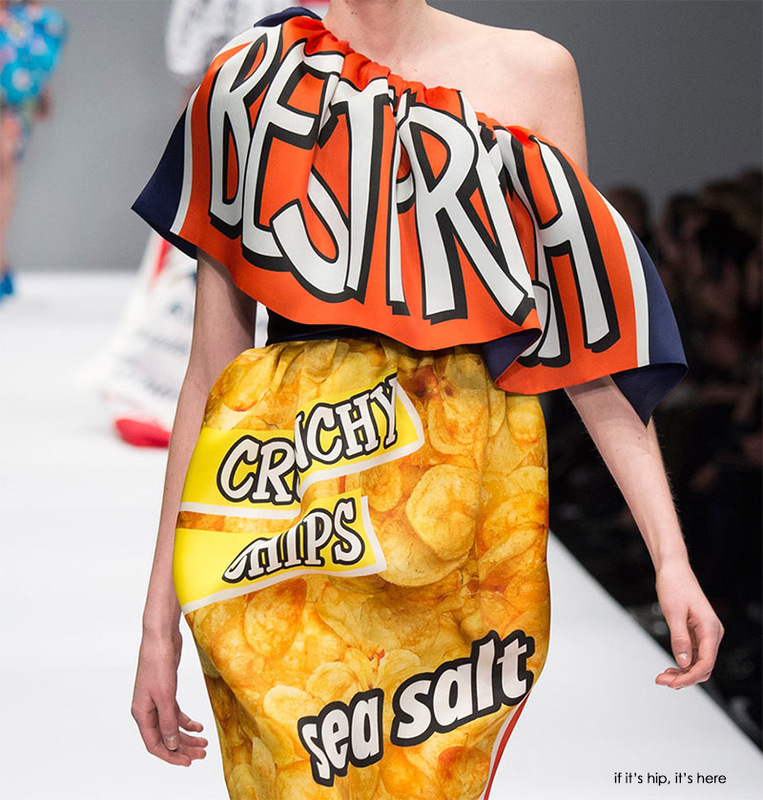 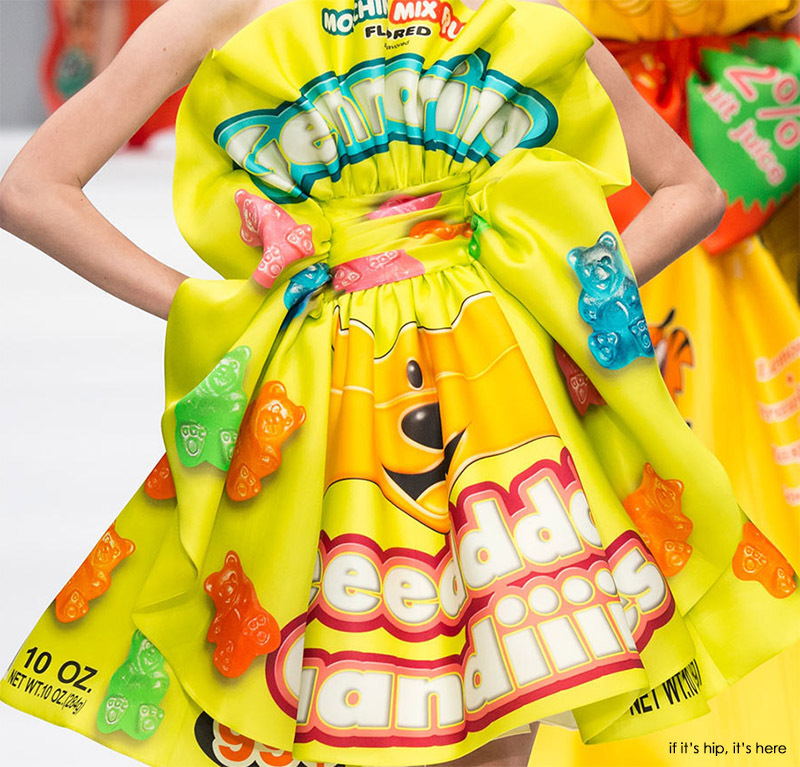 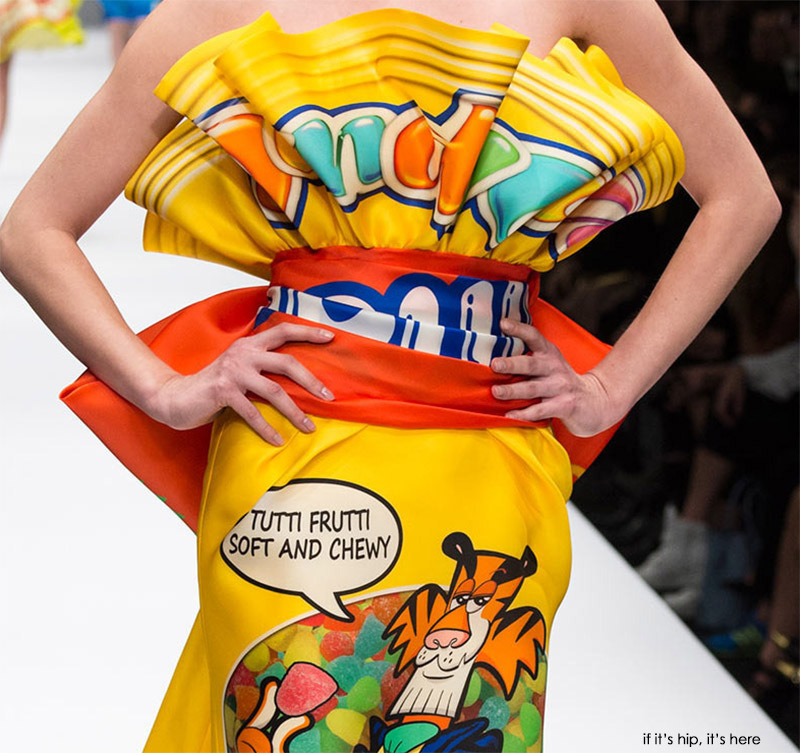 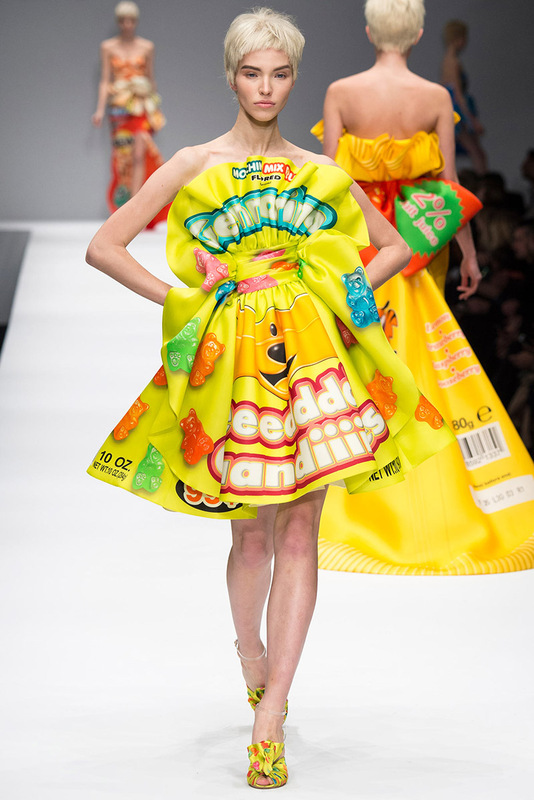 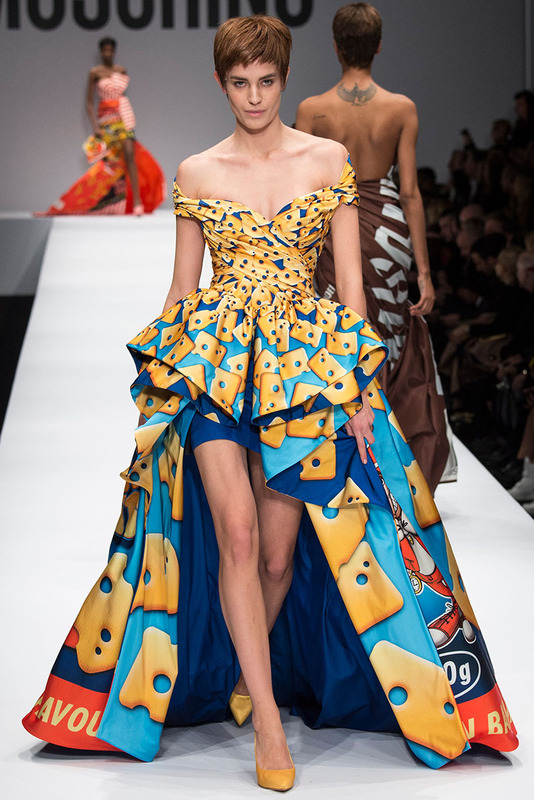 Although these designs are only part of the collection (Sponge Bob and blinged out prize-fighters clad in leather make up the rest), they are a commentary on society and mass consumerism that pokes fun at everything from packaged chips, Cheetos and popcorn to Tutti-Frutti candies and Gummi bears. 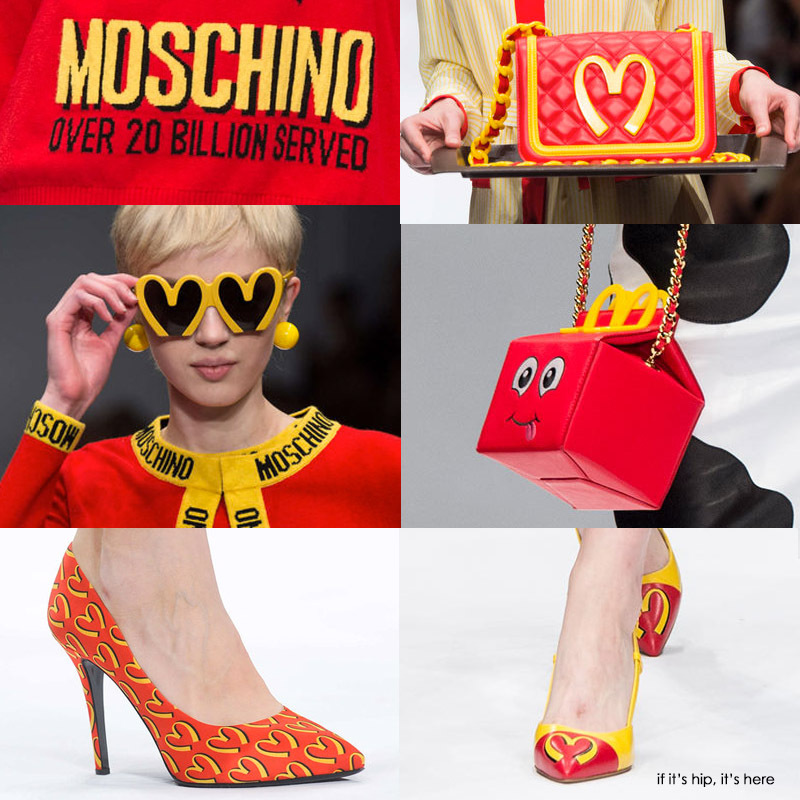 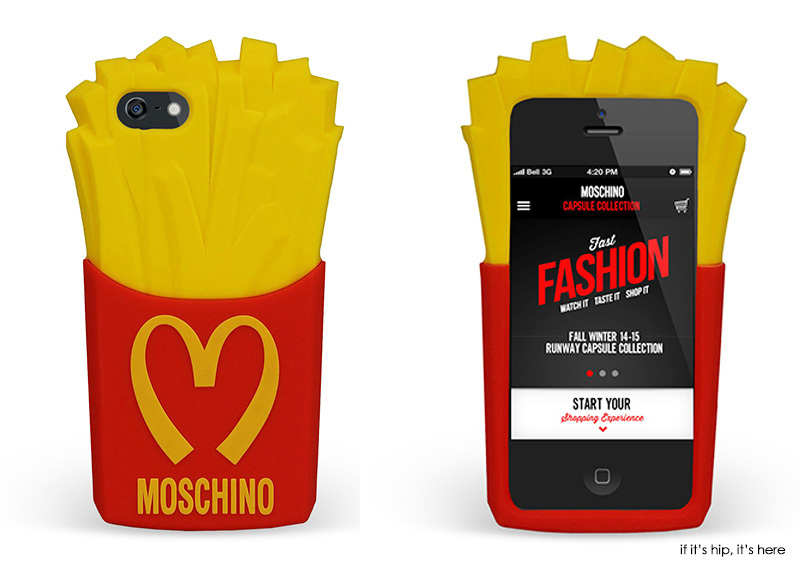 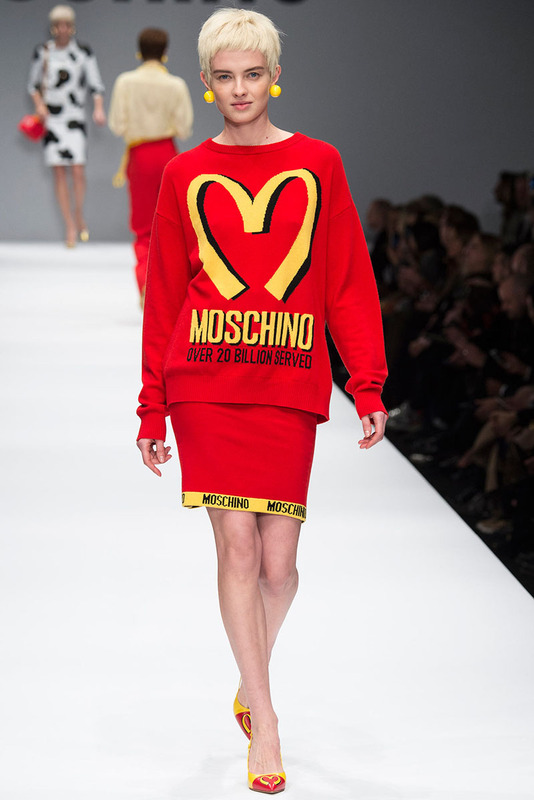 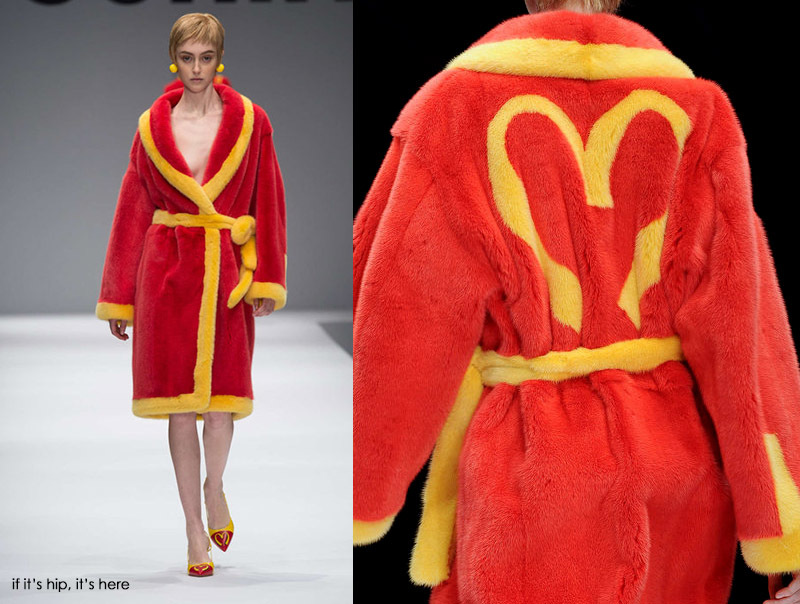 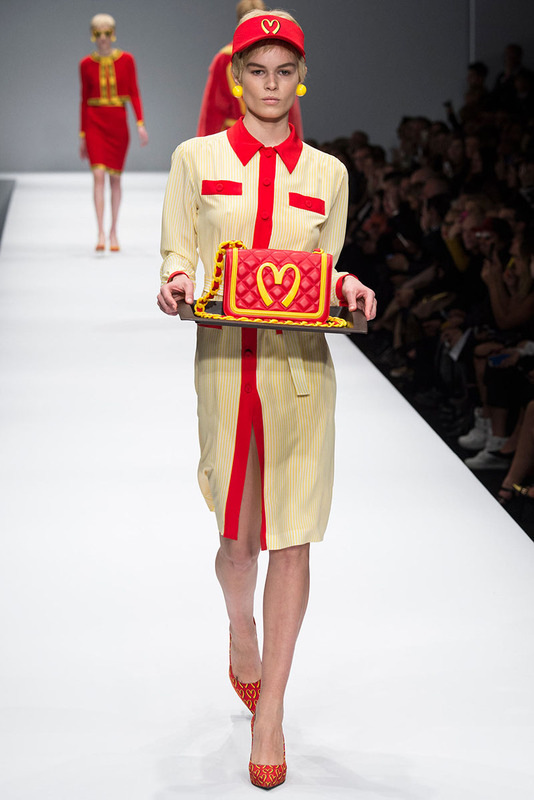 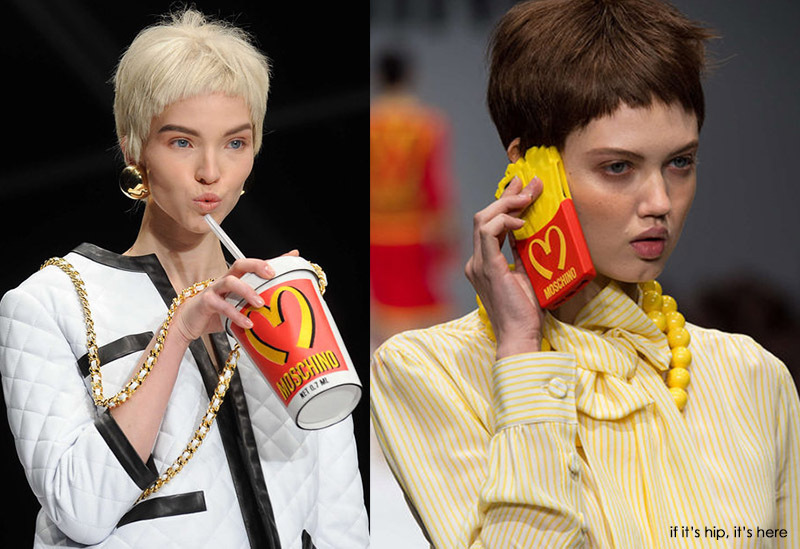 French Fry mobile phones, Golden Arches sunglasses and Moschino branded milk shakes accompanied the models as they strutted down the runway. 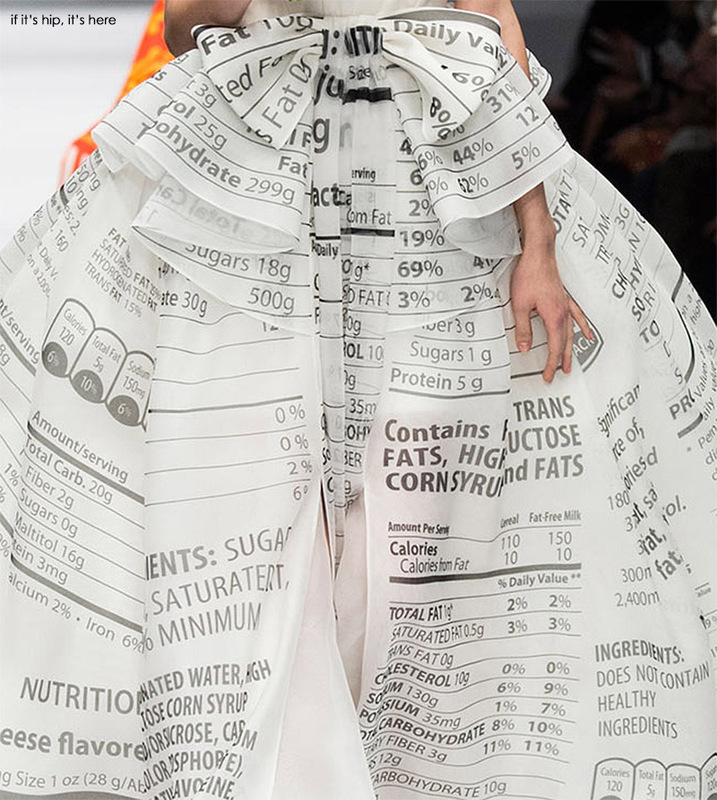 Eat Fit Cutlery - A Workout With Every Bite.